QUICK TURNAROUND TIME – DISPATCHED WITHIN 5 TO 7 DAYS! Are you looking for fast turnaround premium silver and gold foil stamp business cards? Our super high quality silver foil cards are dispatched within 5 – 7 working days ensuring that you receive your cards as quickly as possible. Foil stamping uses heat and metallic foils to create a shiny metallic finish. During the foiling process, the foil is transferred to the business card by means of a heated metal die. When foil stamping is applied to chosen areas on your business card, the shiny metallic foil enhances specific sections resulting in a sophisticated and quality appearance. 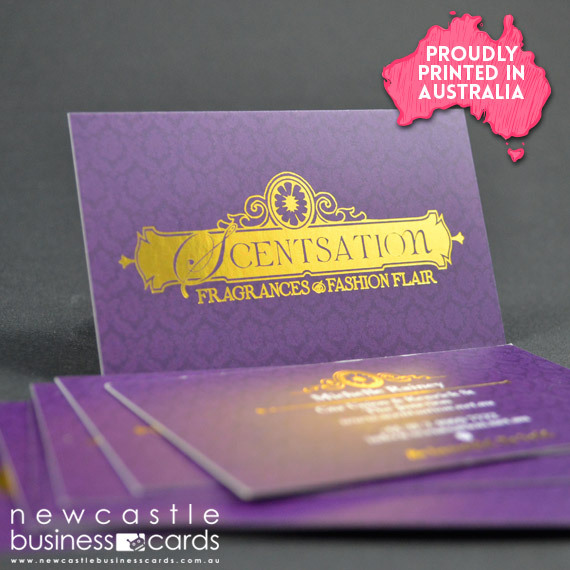 The smooth matt laminated card finish creates a beautiful contrast against the shiny foil surface making these cards extra special. For best results and greatest foil clarity, avoid fine detail and small fonts (see artwork guidelines for more information). When setting up your document, we require the foil finish to be supplied on a separate .PDF in 100% black. THE FOIL AREA MUST BE SUPPLIED IN VECTOR FORMAT. All printed areas (no foil on this file). IMPORTANT: All fonts must be outlined. Show all the foil areas in 100% black. No CMYK printing to be supplied on this file. IMPORTANT: Foil areas should be at least 0.6mm thick. Foil area in vector format only.